…Alternatively, you can make your own pizza at 4:00 am. Or any other time for that matter! 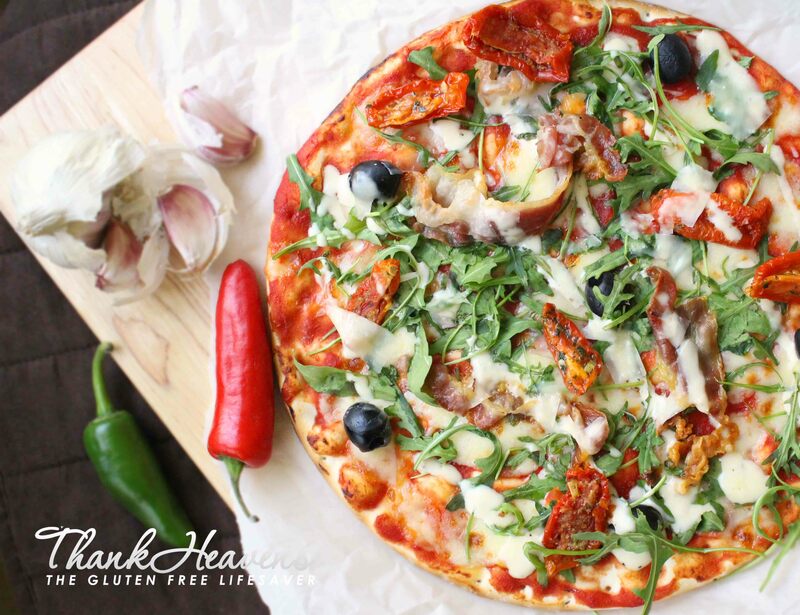 What’s stopping you if you’ve got a pack of good ready-made gluten-free pizza bases in the freezer? I am always very excited to share products that makes gluten-free living easier (and more delicious), and good ready-made pizza bases definitely fall into that category. I’ve recently been introduced to Coles’ frozen gluten-free pizza bases, and I’ve put together quite a treat of a pizza to show you how easy and yummy they are! One of my favourite treats have always been homemade pizza. I much prefer them to the take-away kind. You can top the base with whatever ou want, and you can control allergens, preservatives and fat content. Making your own pizza base from scratch can be tricky, even when it does contain gluten, and not to mention when it doesn’t. I can usually pull it off alright these days, then again I bake all the time. Sometimes I forget how crazy those first few rounds of gluten-free baking was, and how much of a temperamental challenge gluten-free dough can present you with. However, I am quickly reminded whenever my lovely hubby decides he’d like to surprise me with a homemade meal..
We’ve always liked to have homemade pizza on Saturday nights; it’s been somewhat of a tradition in my family for as long as I can remember. My mother used to make the whole thing from scratch, and us kids would look forward to Saturdays with stars in our eyes. We have tried to keep this tradition alive in our household too, and it (not surprisingly) usually comes down to me to roll up my sleeves. Only one lovely Saturday evening not too long ago, I’d had a rather long and exhausting work day, and my better half secretly decided to grab the bull by the horns and surprise me with a pizza ready-made. I thought he must have hurt himself, and I jumped up. I’ll never forget what appeared before me as I turned the corner; if I hadn’t known better I would have thought that a bowl of dough had plotted against him and ambushed him when he wasn’t paying attention. The bench was covered in sticky patches from every new spot he had tried to roll his dough; each with a new piece of utensil still attached. Flour filled the room and appeared the remnants of a middle eastern sand storm. My hubby reminded me of a toddler who had snuck into the kitchen and opened the pantry; he was covered in flour head to toe, and most interestingly, his hands were trapped. 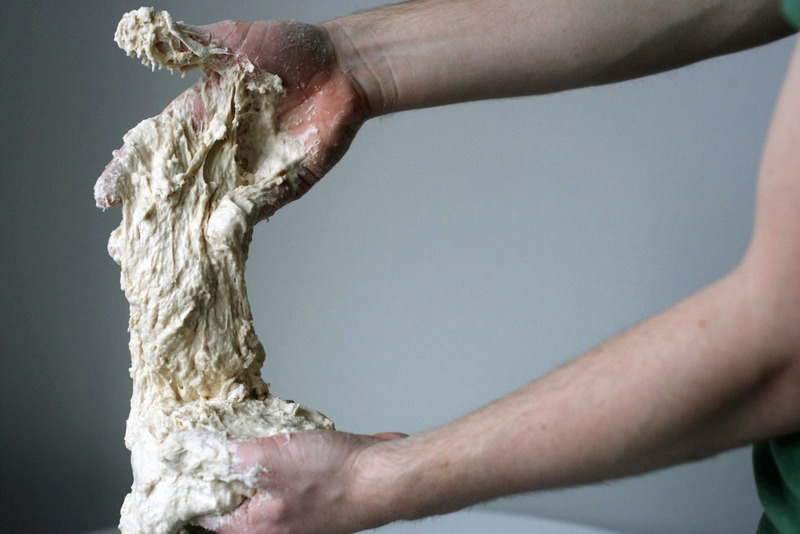 Every finger was webbed together by sticky gluten-free dough that had failed to firm. After many attempts at freeing himself and conquering the unruly mixture, he had managed to cover most body parts in flour and dough. As I entered the kitchen he turned towards me, hands in front of his body and fingers spread as wide apart as the dough would allow him; “Please take it away!” he said with an almost claustrophobic panic in his eyes. There was no mistaking the gravity of the situation; he simply couldn’t take another minute of it. I don’t know what feeling was stronger; the disappointment over the failed surprise, or the absolute despair at being physically overpowered by dough. I only wish my first reaction had been to reach for my camera! Either way, that was unfortunately the last time he attempted pizza dough from scratch. Not the last pizza though. He is pretty good at coming up with creative toppings, so as long as there’s a frozen base in the house, he can still surprise me with pizza. Gluten-Free Melon and Pineapple ANZAC parfait! On the menu today is a rustic Italian pizza with sun-dried tomatoes, mozzarella, caesar dressing, rocket and crispy panchetta. To top off the meal there’s a light and beautiful melon and pineapple parfait with Coles’ sensational gluten-free ANZAC biscuits! Just what makes these ANZAC biscuits so sensational will be revealed..
Coles recently made a big splash in the coeliac community when they introduced their new (and extensive) gluten-free range across Australia. With a plethora of products ranging from bread and cake mixes, to cookies and cereals; Coles have made it their mission to enter the market in style. 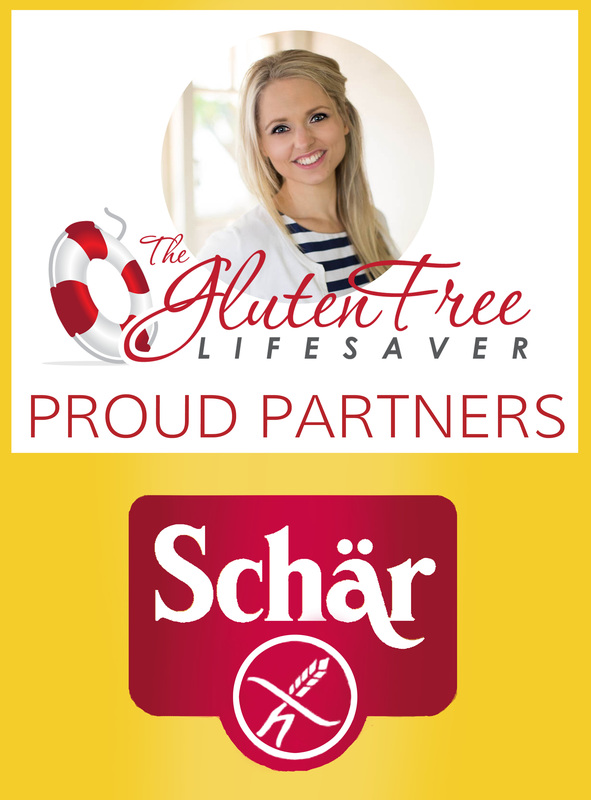 I had the privilege of visiting their tasting room at the Sydney Gluten free Expo last year, and I was very impressed with the Coles’ team dedication to not their new brand. 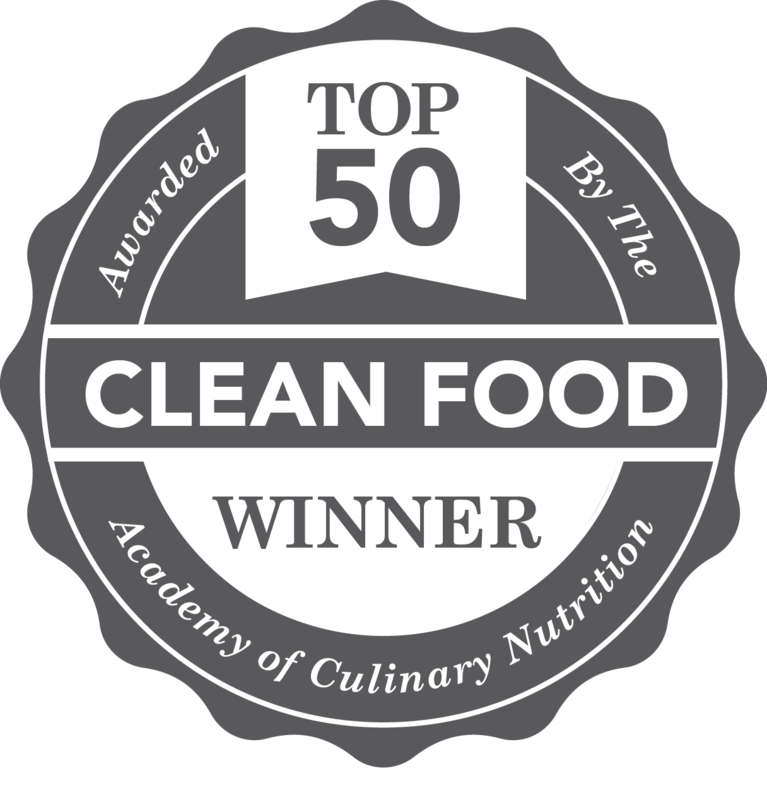 The focus was not only on solid certification (zero detectable gluten), selection and flavour, but also on making gluten-free items more affordable. At the expo they quoted an average 20% lower pricing than comparable GF items by competitors. Any gluten-free family knows all too well how terribly expensive it can be to stock a pantry with coeliac safe options. The fact that Coles recognises this is a much-needed step in the right direction! 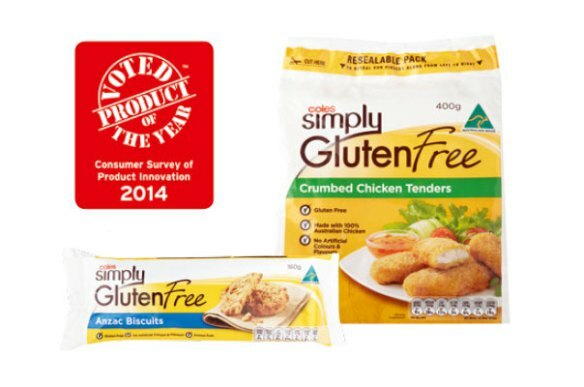 Recently, a handful of products from Coles’ Simply Gluten Free Range shot straight to the top in Australia’s largest independent consumer study, comprised of votes from over 16,000 people. 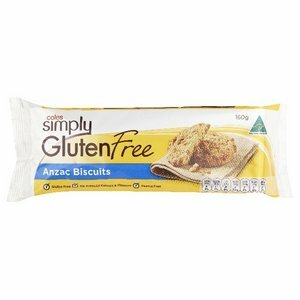 Coles’ Simply Gluten Free biscuit range secured a winning spot in the Healthy Food category, and comprises of Anzac, Chocolate Chip, White Chocolate and Cranberry Macaroons, and Stem Ginger cookies. All are Gluten Free, Peanut Free and with no Artificial Colours and Flavours. Two of their products from the Frozen range also made it to the top, namely the Chicken Tenders and the Pizza Bases. I have tried the chicken tenders and they taste really nice. They are made from 100% Australian chicken, and have no artificial colours or flavours. They make a great quick and easy meal for a family, and between myself and my man we got two dinners from one pack. Amongst all the award-winning products my favourites are the ANZAC biscuits and the pizza bases. The pizza bases are so easy to use, and they are not only gluten-free, but also free of preservatives and artificial colours and flavours. I bake my pizzas on a stone top to get that extra crispy crust, and Coles’ gluten-free pizza bases are definitely up to the job. I have put together a gorgeous italian pizza recipe that should get the pickiest of mouths watering. Think sun-dried tomatoes in extra virgin olive oil, mozzarella cheese, caesar dressing, crispy panchetta and fresh rocket. This pizza really has a gourmet feel about it, and I promise it will taste every bit as delicious as its restaurant stone baked counterpart! Start by drizzling a little of the olive oil onto the pizza base (about 1 tbsp), and follow up by applying the tomato sauce with a spoon or spatula to the pizza base. Don’t apply too much sauce, or the base will get soggy. Fry your panchetta in a pan until it is nice and crispy. Alternatively you can can bake the panchetta in the oven for a lower-fat option. If your panchetta is sliced really thinly you might be able to put it straight on top of the pizza before you put it in the oven, but to make sure it is definitely cooked all the way through it is safer to fry or bake it beforehand. Distribute your toppings evenly onto the base, leaving out the rocket and caesar dressing. Pop it in a hot oven for 15-20 minutes. For an extra crisp base, use a special pizza pan with holes, or a pizza stone. When the pizza comes out of the oven, let it rest for just a couple of minutes before you drizzle the rest of the olive oil over, followed by a thin topping of caesar dressing, parmigiano, and finally the fresh rocket. Delicious! For dessert I have put together a very simple and delicious melon and pineapple parfait, using the fantastic ANZAC biscuits mentioned earlier. 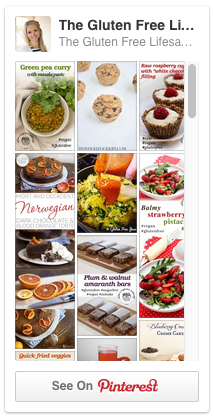 This dessert is a s easy as they come, yet super tasty and quite healthy! 2 cups gluten-free vanilla yoghurt (I use the natural, organic type). You can also use coconut flavoured yoghurt if you prefer! Drain some juice off the fruit (so that the parfait doesn’t get too wet. Cover the base of a nice glass with a mix of melon and pineapple. Follow with a layer of yoghurt and a layer of crushed ANZAC biscuits. Repeat process until you reach the top of the glass. Top with some larger pieces of biscuit, or a couple leaves of mint if you prefer. This post was sponsored by Coles, however each and every word represents my genuine opinion. I do not accept sponsored posts from brands and products I wouldn’t otherwise recommend.